A Systems and Appliances Home Warranty, such as HomePRO, is a great tool to continue the feeling of “new home confidence”. Warranties protect you and your home from the unexpected expenses caused by normal wear and tear on your property. 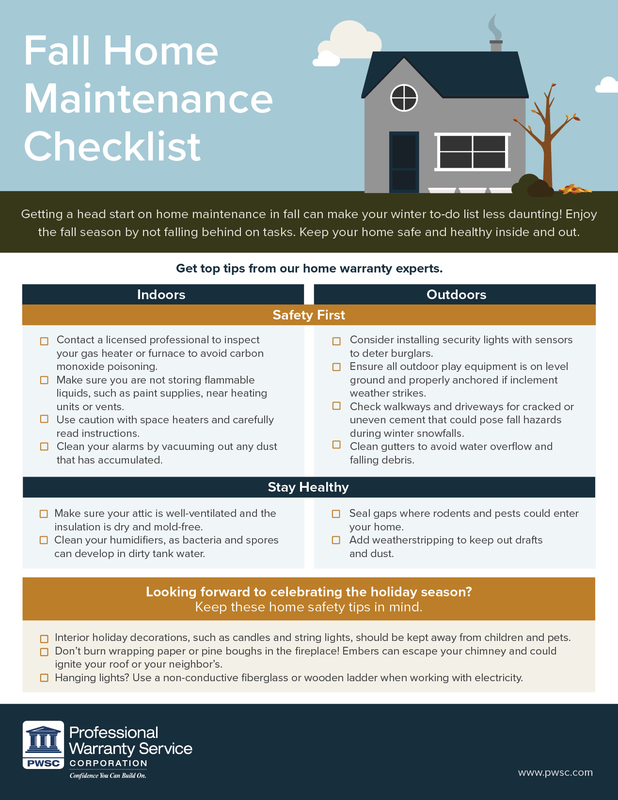 Seasonal home maintenance by homeowners is key to keeping the systems and appliances of your home functioning properly. As home warranty experts, we have many tips and tricks to help you stay on top of home maintenance. 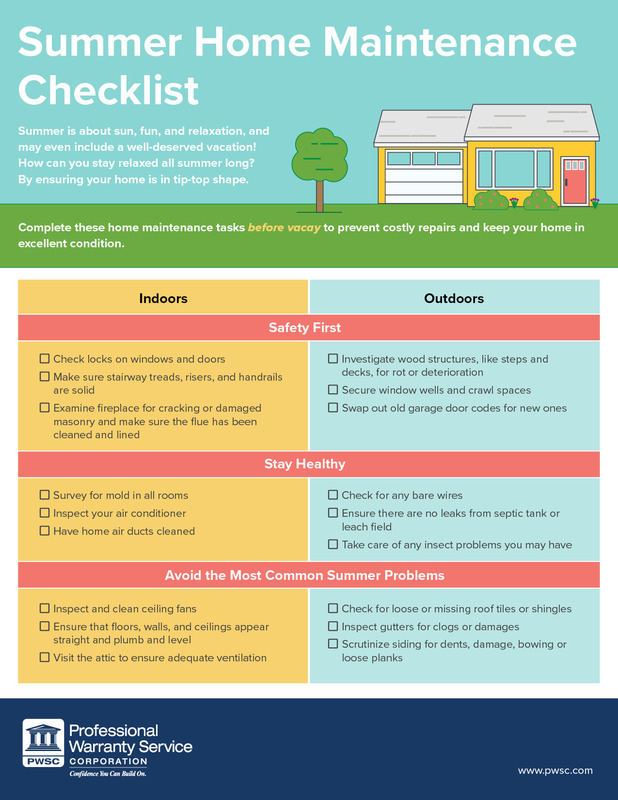 Click on the image above to download the Spring Home Maintenance Checklist PDF. Click on the image above to download the Summer Maintenance Guide. 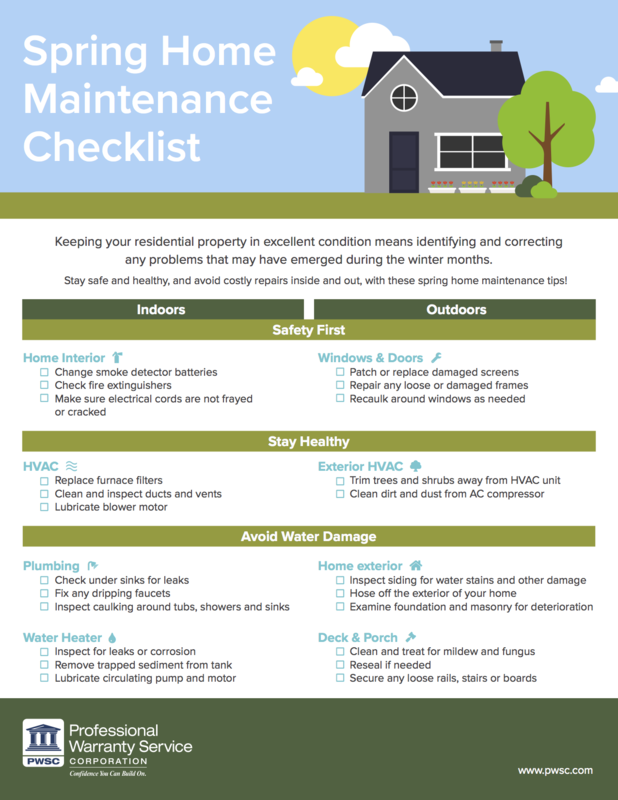 Click on the image above to download the Fall Maintenance Guide. 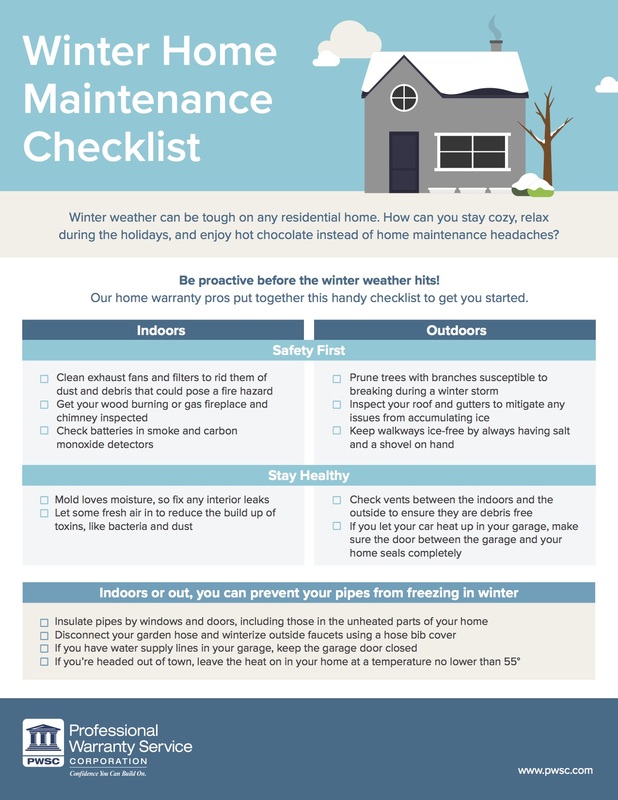 Click on the image above to download the Winter Maintenance Guide.